View cart “Sammartini, Giuseppe: Six Concertos, in seven parts, Opera Seconda” has been added to your cart. Giovanni Francesco Giuliani: (b Livorno, c1760; d Florence, after 1818). Italian composer and conductor. He studied in Florence with Pietro Nardini (violin) and Bartolomeo Felici (counterpoint), and from 1783 to 1798 led the orchestra at the Teatro degli Intrepidi there. He also lectured in music and declamation at the Accademia di Belle Arti in Florence, where one of his pupils was the composer Ferdinando Giorgetti. He was apparently based in Florence for the rest of his life. 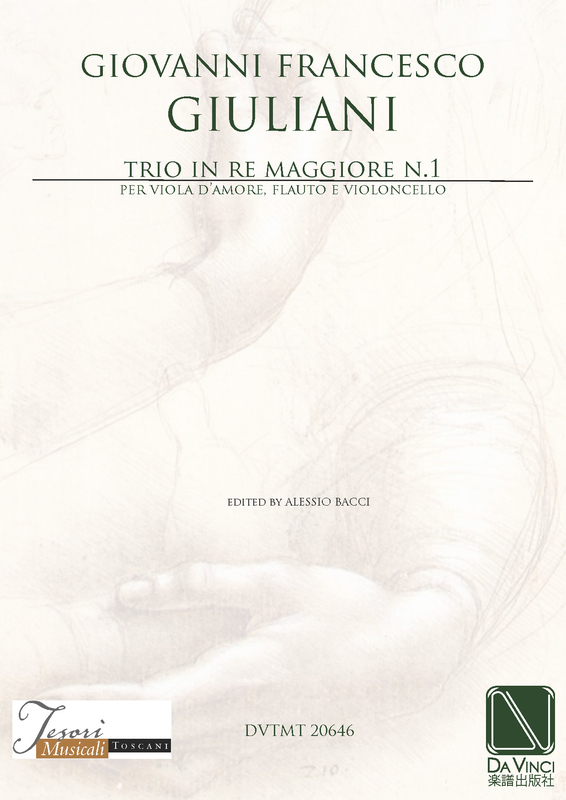 Giuliani is one of the few lesser Italian masters of the late 18th century who was able to make a living as an instrumental composer in his own country and was not forced either to travel elsewhere or to compose church and theatre music, although he did write a two-act intermezzo and three ballets. The principal characteristics of his instrumental music are, on the one hand, a marked influence from Haydn and, on the other – at least as far as his solo concertos are concerned – excessive Classical rigour, on the model of Nardini’s works, from which Giuliani was only occasionally able to free himself.